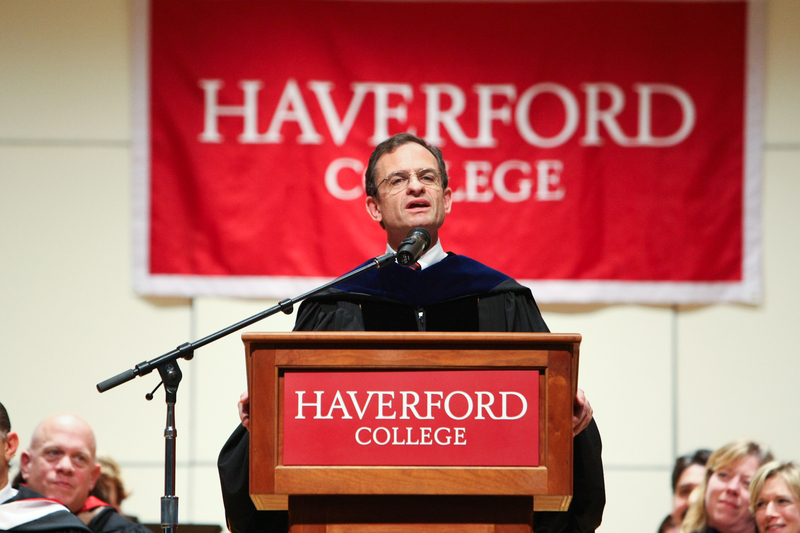 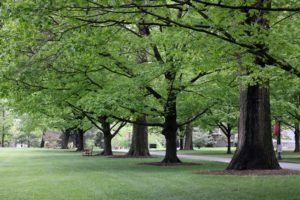 Recent Haverford graduate Jon Yu ’12 provided additional photos from Saturday’s Inauguration Ceremony. 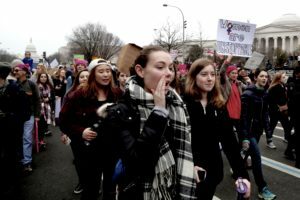 Yu is a freelance photographer and former Bi-College News staff member. 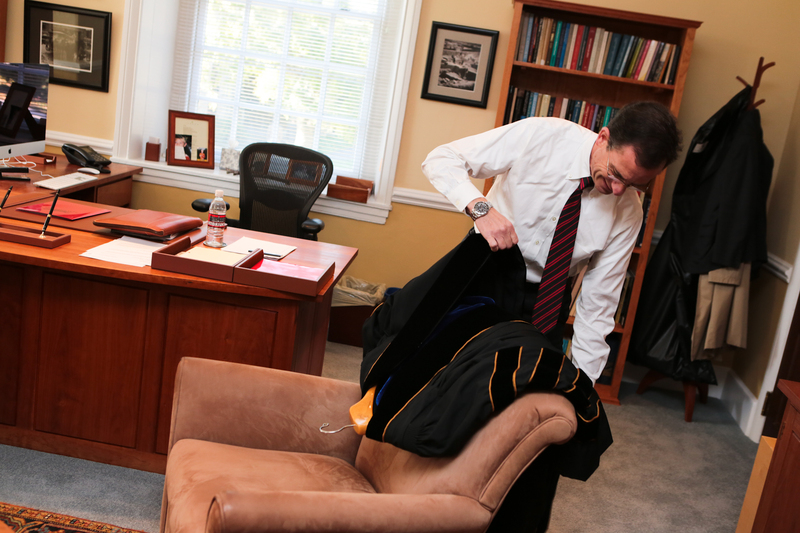 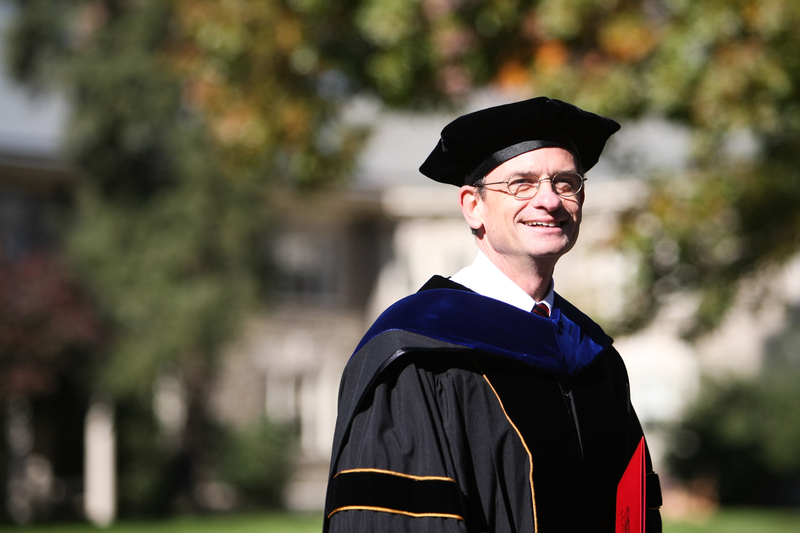 Weiss prepares to don an academic robe in his office in Founders Hall before attending his Inaugural Ceremony. 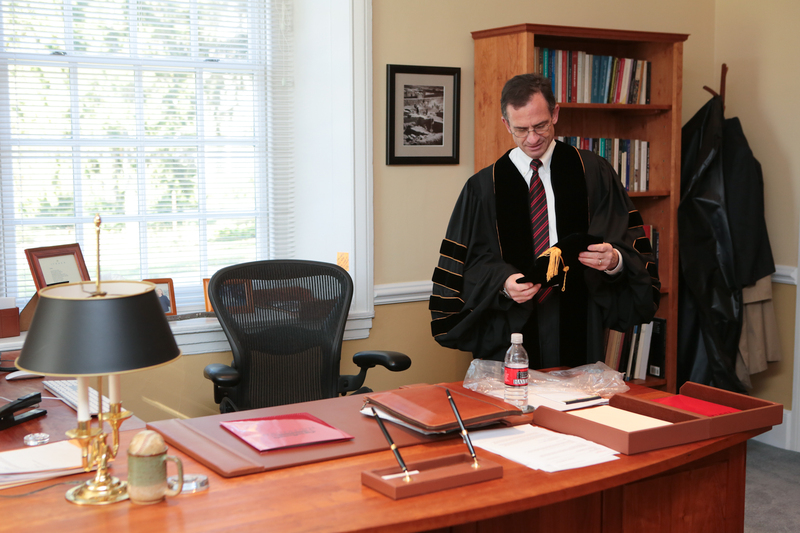 Weiss examines his cap in his office in Founders Hall. 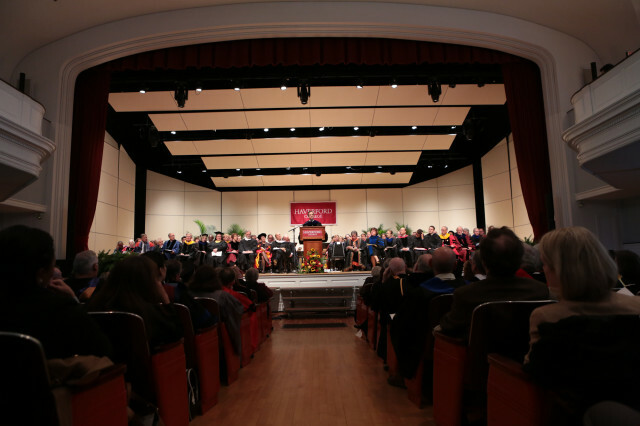 Weiss processes towards Marshall Auditorium for his Inaugural Ceremony. 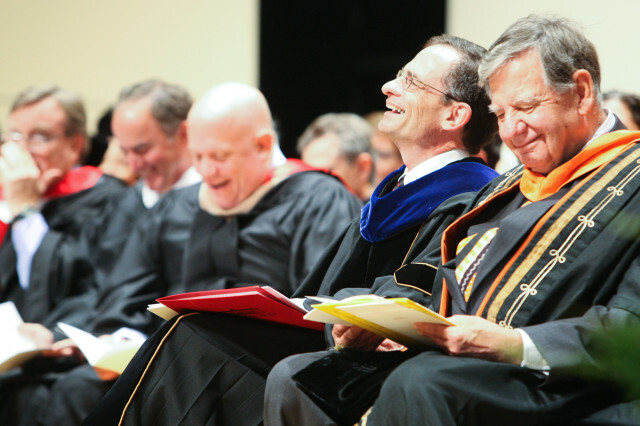 Weiss laughs Bryn Mawr College interim president Kimberly Wright Cassidy’s remarks during his Inaugural Ceremony. 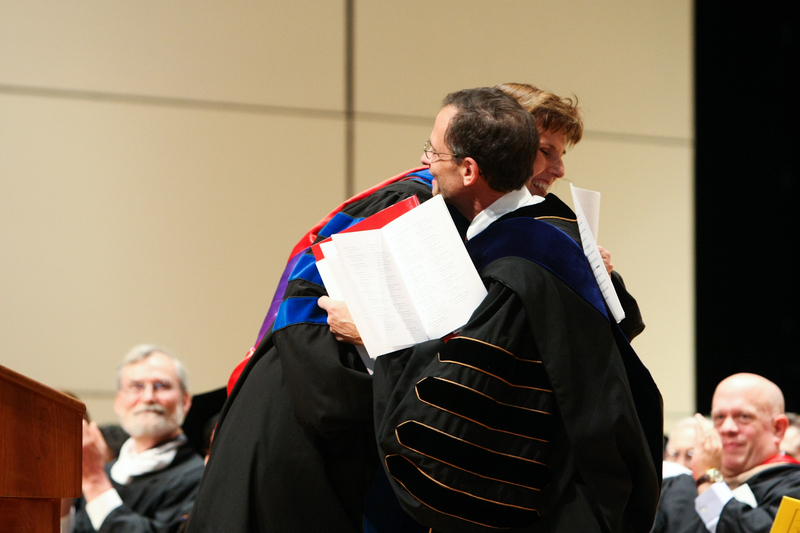 Weiss hugs Bryn Mawr College interim president Kimberly Wright Cassidy after her remarks. Weiss (center) applauds after the Haverford-Bryn Mawr Chamber Singers perform during his Inaugural Ceremony. 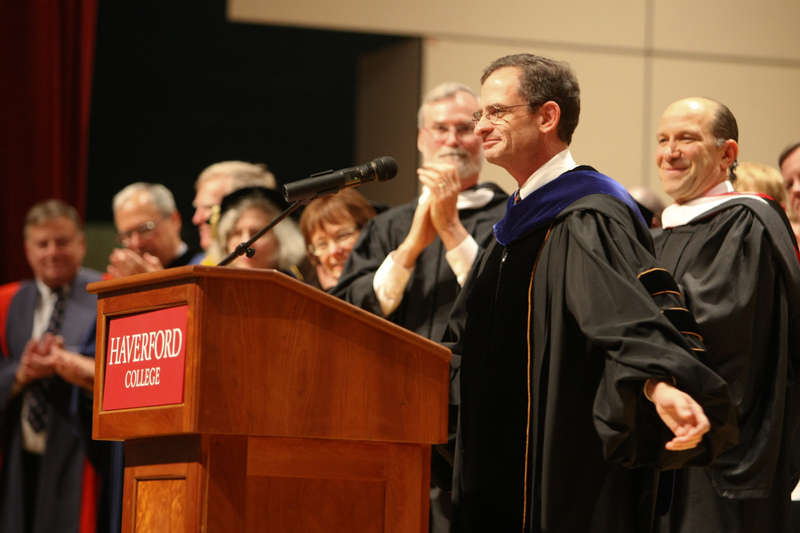 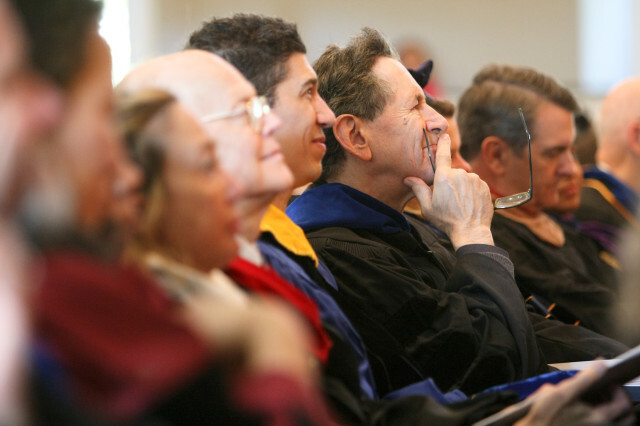 Weiss delivered his inaugural address to a packed crowd inside the college’s Marshall Auditorium on Saturday, October 26, 2013. 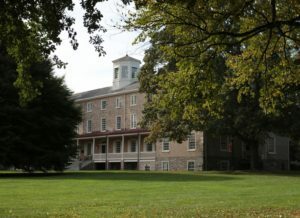 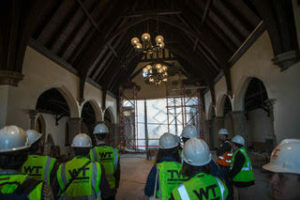 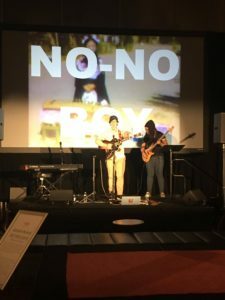 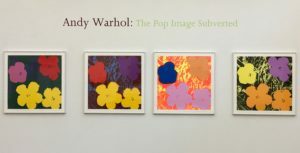 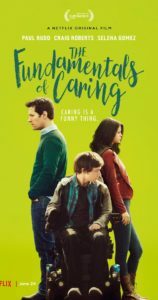 The auditorium had a “capacity audience of 750 with many more watching a video feed in campus lecture halls,” according to college spokesman Chris Mills. 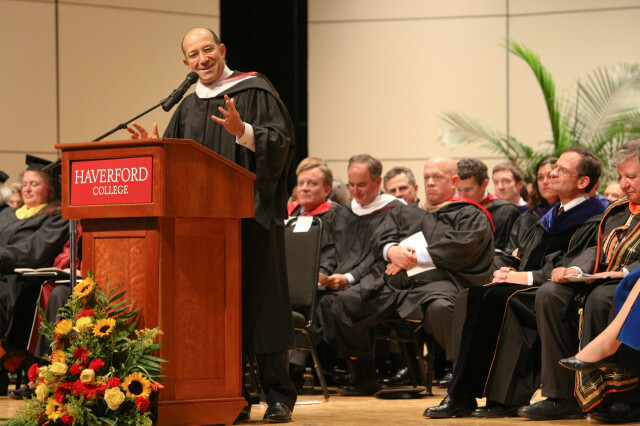 Howard Lutnick, Co-Chair of the Haverford College Board of Managers introduces Weiss. 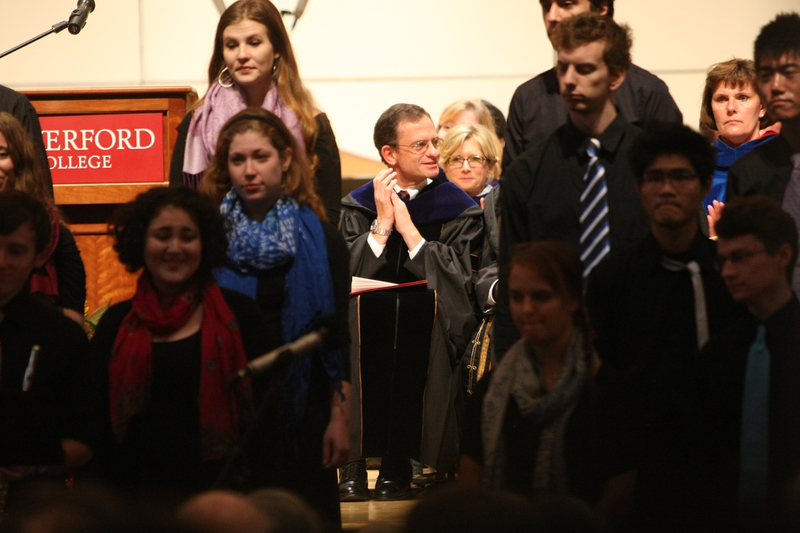 Weiss is applauded before addressing the crowd. 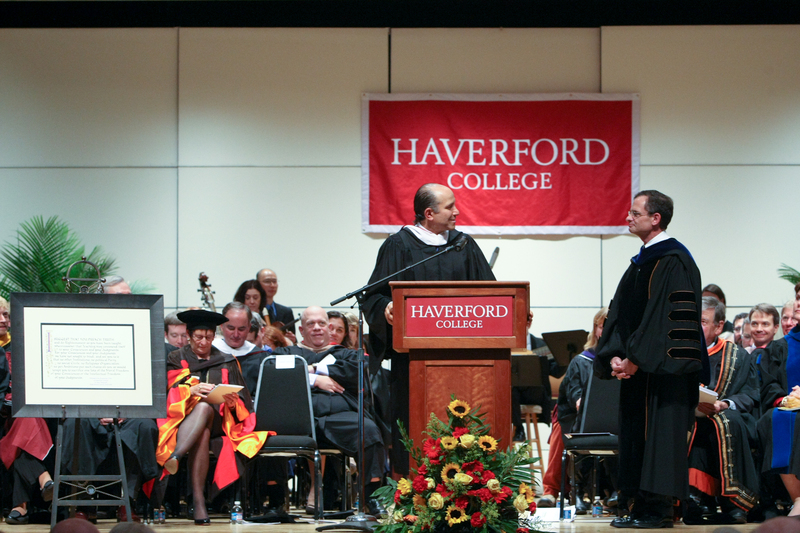 Howard Lutnick, Co-Chair of the Haverford College Board of Managers presents the Sharpless Quote to Weiss.